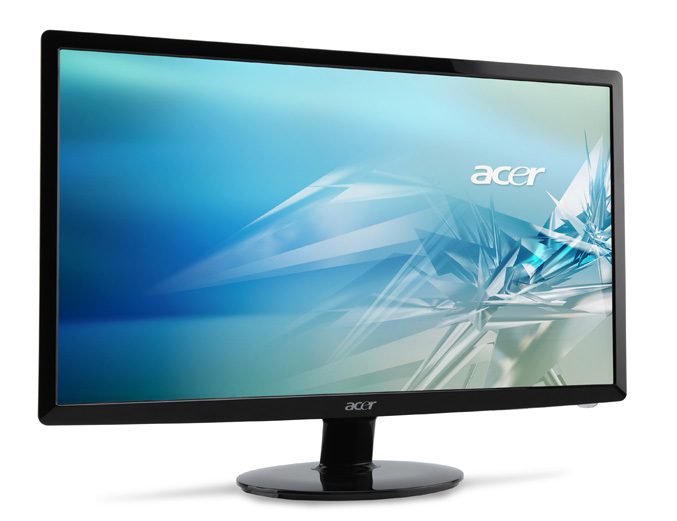 Acer America today intros the new S1 family of thin (13mm to 15mm profile)LED monitors, featuring an eco-friendly,energy-saving technologies and space-conscious design. 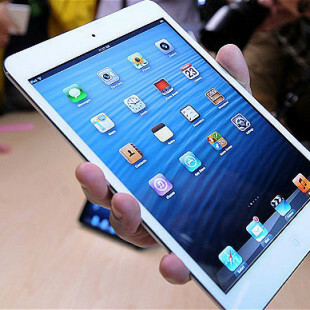 The S1 line-up includes for now 3 models – 20-inch S201HL, 21.5-inch S211HL and 23-inch model S231HL, all with polished black display frame and rounded porcelain-like stands. The S1 models feature white LED backlighting , which doesn’t contain hazardous substances such as mercury or halogen gases and consumes less power, providing up to 68% power savings compared to a CCFL backlit displays. 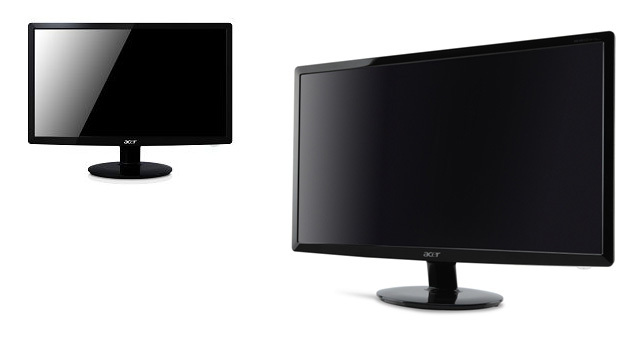 All monitors also feature 12,000,000:1 contrast ratio via Acer Adaptive Contrast Management (ACM), which enables users to adjust images frame by frame for improvement of gradation and detail, especially in very dim or very bright scenes. The 21.5-inch S211HL and 23-inch S231HL models offers 1920×1080 resolutions, while the 20-inch S201HL propose 1600 x 900 pixel resolution, all models boasts 5ms response times, 250 cd/m2 brightness and are RoHS and ENERGY STAR 5.0 compliant. They also comes with D-Sub and DVI ports with HDCP protection and S231HL has HDMI input. Available this month for U.S. customers, Acer S1 series coats – $169.99 for the 20-inch model (S201HL), $219.99 for the 21.5-inch model (S211HL) and $269.99 for the 23-inch model (S231HL).